Silicone is the next generation in bakeware. It's easy to use and works better than nonstick pans. Though they do need greasing, silicone molds are flexible and elastic, easy to remove and can withstand temperatures up to 500 degrees Fahrenheit. They're available for cakes, muffins, cupcakes and in various shapes and sizes. 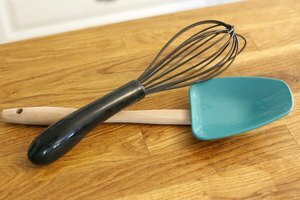 Here's a guide to using and maintaining your own silicone baking tools. If your silicone pans are new, be sure to give them a thorough wash. Although the molds are dishwasher safe, it's best to hand wash them in hot soapy water. 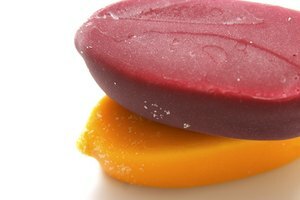 Avoid using scouring pads or harsh cleaners. Grease the mold using vegetable oil or a nonstick cooking spray. Apply the oil evenly, making sure to reach the corners and edges. Since silicone molds are flexible and pliable, place a metal cookie sheet below the mold to hold it properly. The cookie sheet ensures that you can remove the mold easily without spilling or burning yourself. 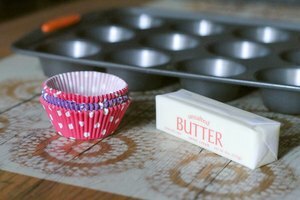 Once your baking is done, turn off the heat and let the silicone mold cool in the oven for five minutes. Carefully remove the bakeware from the oven. Follow the recipe instructions for removing the product from the mold when warm. Use silicone baking molds to set gelatin products. You can also use them in the freezer. Never use silicone baking molds in a broiler, hot plate or over an open flame.